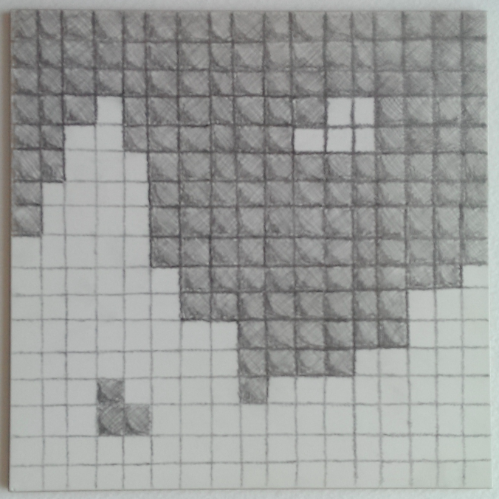 This image, created with pencil on tile, destroys all symmetry of the conventional yin/yang symbol. Moreover, no two adjacent vertical or horizontal lines are parallel, so that no grid cell is actually square. 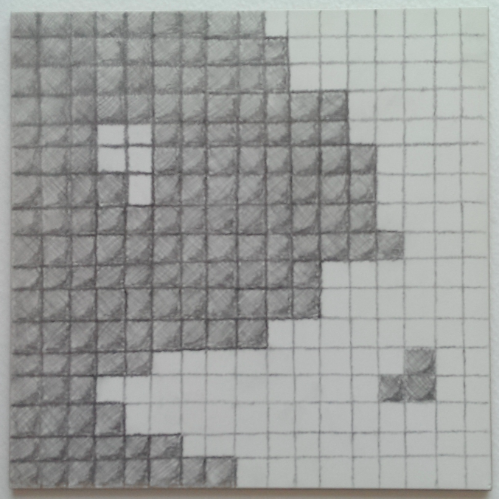 Yin Yang I, 8" x 8"
While the orientation above suggests a face, a rotation suggests a nightscape.